Migrant Workers’ Rights in Lebanon | Melissa Tabeek. “Maimouna.” Photo by Omar Alkalouti, omaralkalouti.com. The situation for migrant workers in Lebanon is difficult, to say the least. Unlivable for many. And for domestic workers in particular, as they have no protection under current labor laws. This leaves them extremely vulnerable to exploitation. Many of Lebanon’s estimated 200,000 migrant domestic workers – it is estimated that there are thousands more foreign workers in the country in addition to this number – who come to the country for work often face extremely challenging living and working conditions. Aside from being excluded from the labor law, they are tied to their employer by the “kafala,” or sponsorship, system. This system makes it so that migrant domestic workers cannot enter or leave the country without consent from their sponsor. Additionally, they cannot change employment or travel without permission. Their documents (passport and travel documents) are taken from them and held by their sponsors nearly all the time, something that essentially traps the workers with their employer, unless they want to run away and leave their documents behind. But the workers aren’t only dependent on their employers in regard to their papers – they depend on their sponsor for food, shelter, wages, healthcare, etcetera. Click on the photo for the link that will show the full infographics. As a result, cases of women in particular being beaten, murdered or committing suicide sadly is not a rare occurrence in this country. A recent example was reported on March 23, when an Ethiopian woman was raped by an employee of an agency for the recruitment of migrant domestic workers, according to the Internal Security Forces’ General Directorate. She was brought to the agency by her employer, who was lodging a complaint about her. While she was in the office, she was first verbally abused by the secretary, according to Al-Akhbar English, then another employee was called in to “discipline” the worker. She was beaten by this employee with his belt, forced to undress and then raped. Both the employee and the secretary, who had been within earshot of the incident, were arrested. (By the way, I recommend reading the above link on Al-Akhbar, it gives a good sense of the event that happened, as well as the mentalities of a lot of people in this country regarding migrant workers). 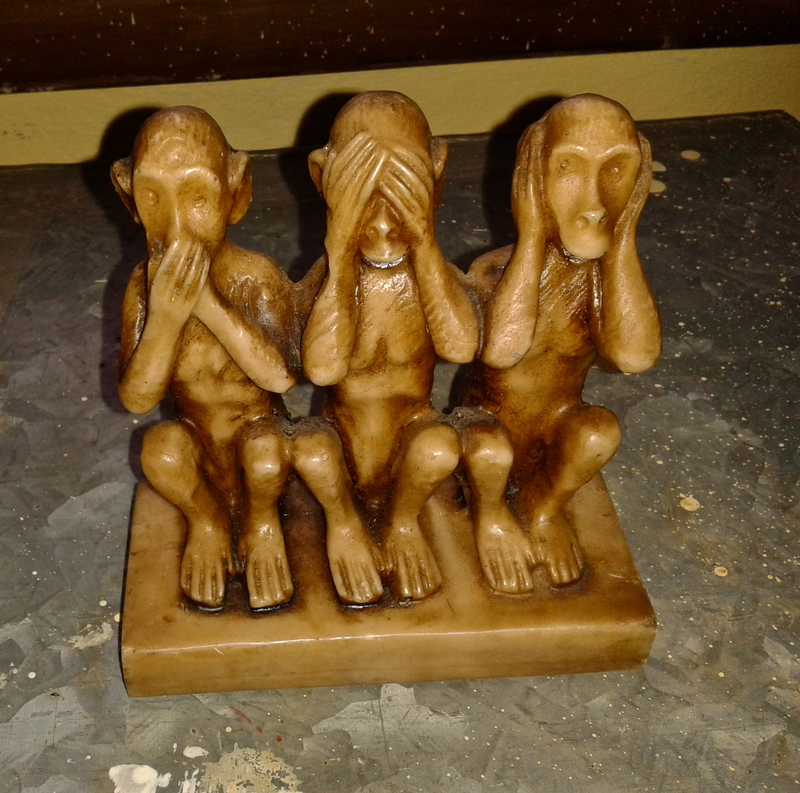 Speak no evil, See no evil, Hear no evil. Photo taken at the Migrant Community Center here in Beirut, Lebanon. But what about the scores of other workers who are trapped inside their homes? Who don’t have supportive employers? Whose employers see them as animals, undeserving of kindness, care and justice? How are their voices to be heard? 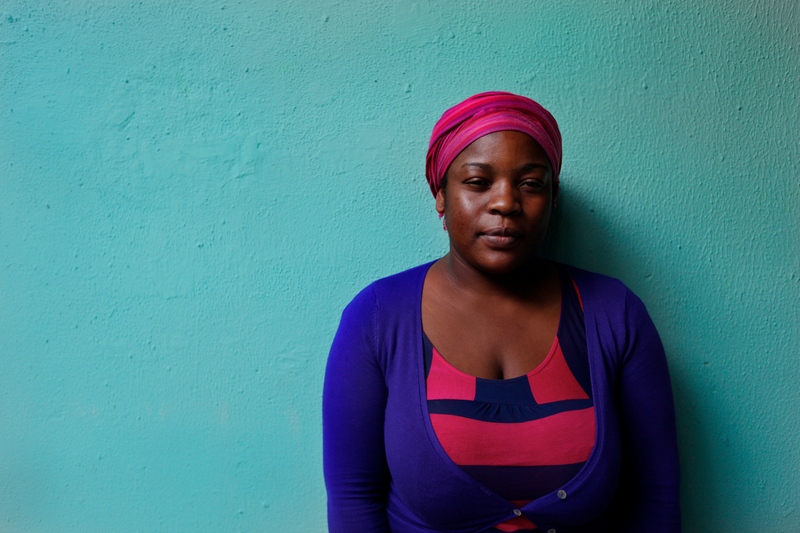 The Human Rights Watch estimated that in 2008, an average of one domestic worker died in Lebanon per week. Most of these deaths are a result of suicides or attempts to escape their employers. Even when they manage to escape, once their contract is broken, they no longer have identification documents and can end up in an even more deplorable situation. Prostitution, living in even poorer conditions, or working without papers for an employer that exploits the employee are all possibilities for a migrant worker who has run away. In the 2014 HRW Report, this was the part the addressed the continued lack of progress on abolishing the kafala system, as well as legal issues regarding migrant workers in the past year. In my time in Lebanon, I have met so many amazing migrant workers, some who are in a difficult situation, and some who have been able to do well here, with the kindness of their employers and the supportive network they are able to make. I just hope all of the fight and determination I have seen in the workers, as well as the organizations and people in the country helping them, is enough to change mindsets and laws in Lebanon to protect those that don’t always have the ability to protect themselves.